There are many aspects of the sales process that challenge salespeople – prospecting, pitching, and overcoming sales objections and the close. Let’s face it, much of selling is really order taking. 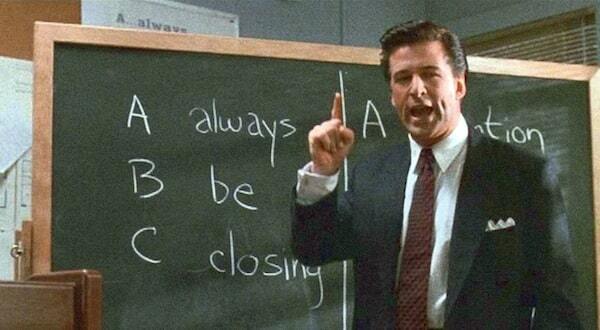 The customer wants what you’re selling so you simply need to close but even when the customer wants to buy many salespeople still can’t manage to close. Many salespeople simply can’t ask for the order. The Balance Sheet close, also called the Ben Franklin close, where the salesperson and the prospect build together a pros-and-cons list of whether to buy the product, with the salesperson trying to make sure the pros list is longer than the cons. The Negative Assumption close, where the salesperson asks two last questions, repeating them until he or she achieves the sale. “Do you have any more questions for me?” and “do you see any reason you wouldn’t buy this product?” This tactic is often used in job interviews. The Possibility of Loss close, also known as the pressure close, where the salesperson points out that failing to close could result in missed opportunity, such as because a product may sell out, or its price rise. The Puppy Dog close, where the salesperson gives the product to the prospect on a trial basis, to test before a sale is agreed upon. The problem with using ‘a line’ is that the prospect will always sense, at some level, that we are being manipulative and will push back. As with most things it is the simplest, most honest approach that has work best for me. After, the pitch and the subsequent questions and objections the time comes when I always deliver…. Never ask people if they ‘want to buy’ because ‘buy’ and ‘sell’ are two words to never use – these are scary words to buyers. Just a simple ‘Would you like to move forward?’ said with an intonation that suggests that would be the only rational choice will get the best result. This question closes but leaves room to move back to deal with more objections if the answer is ‘no’. When should you ask, ‘ Would you like to move forward?’ Always ask! Always ask because you never know what is in the buyer’s mind and only a direct answer will tell you. The reason I rarely get a ‘no’ is that every action, every word, every ounce of energy is focused on moving the client forward. The universe reacts to positive energy, focused with intention and customers are no different. In selling, as in life, we pretty much get what we expect to get!